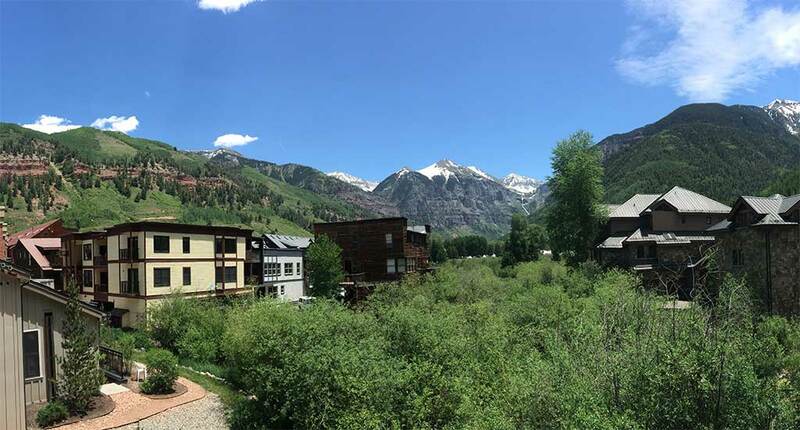 The high monthly dues required by Home Owners Associations in downtown Telluride often shock many real estate buyers interested in Telluride condominiums. Initially, these higher dues can seem daunting when considering the purchase of a Telluride condo. However, one should first find out what these HOA dues include as they often include utilities and other necessary services to the property which will need to be paid one way or another each month. Many complexes have reserve monies collected monthly via the HOA dues such that when maintenance, repairs and upgrades are needed there is no need for a large assessment for each condominium owner to pay to address such issues. Different complexes offer a variety of amenities within these HOA dues which can make one condominium perhaps more desirable over others such a common heated pool, hot tubs and/or workout facilities/spas. However, with all this considered, many buyers still wish to see those condominiums which offer the least expensive HOA dues to understand what can be purchased on a monthly budget versus those other complexes which have stated higher monthly out of pocket expenses. With this in mind, I have reviewed all currently listed for sale condominium complexes in downtown Telluride and translated their HOA dues per month per the square footage of each for sale condominium to come up with my top 3 recommendations for the least expensive HOA dues in Telluride. Nevertheless, to be fair this is solely based on dues/month/sqft. Therefore, if sewer or water utilities are inclusive to this payment and this is collect by one of these complexes and not at another it is worth putting together a spreadsheet to truly compare apples to oranges in monthly expense for any interested condominiums one might consider purchasing. I actively provide such tools for all of my buyers interested in such data. As of today, those condominium complexes in downtown Telluride with the least expensive monthly HOA dues per square foot of each condo are Telluride Lodge Condominiums ($0.30/sqft), Cimarron Condominiums ($0.32/sqft) and Boomerang Villa Condominiums ($0.40/sqft). One item of note is that Telluride Lodge offers a large common area green space and indoor and outdoor hottubs for its owners and guests to use. Below is a breakdown for the average Dollar/SquareFoot/Month ($/sqft/mth) for each of the complexes and links to the specific condos for sale within each of the complexes.